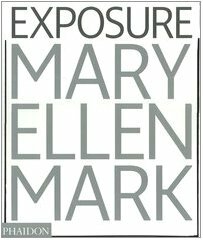 Acclaimed American documentary photographer Mary Ellen Mark (b. 1940) made her first iconic pictures when living in Turkey on a Fulbright Fellowship in the mid-1960s. Her photographs of Bombay brothels, shot in the late 1970s, were published in 1981 in Falkland Road, a book that became legendary and confirmed her status as one of the most prominent and provocative documentary photographers working today. Mark’s pictures are a celebration of humanity in its most diverse and eccentric forms. Circuses, gypsy camps, children yearning for adulthood, the poor and destitute are some of her recurring themes. Mark has the unique ability to capture gestures and expressions that translate the intense emotions of her subjects. Compassionate but never literal, her pictures can be humorous, tragic, enigmatic, shocking, and often all of these simultaneously. This book presents for the first time a selection of the strongest pictures of Mark’s forty-year career, drawing from emblematic series such as “Falkland Road,” “Indian Circus,” and “Twins,” as well as a selection of previously unpublished images. The photographs are accompanied by an introduction by Weston Naef, and an interview with Mark that provides context and behind-the-scene anecdotes. Together Mark’s images and words provide intimate insights into the lives of others, presenting compelling stories of human strength and suffering.